Seven-year-old Mason occasionally goes to work with his mom and hangs out in her office while she teaches. 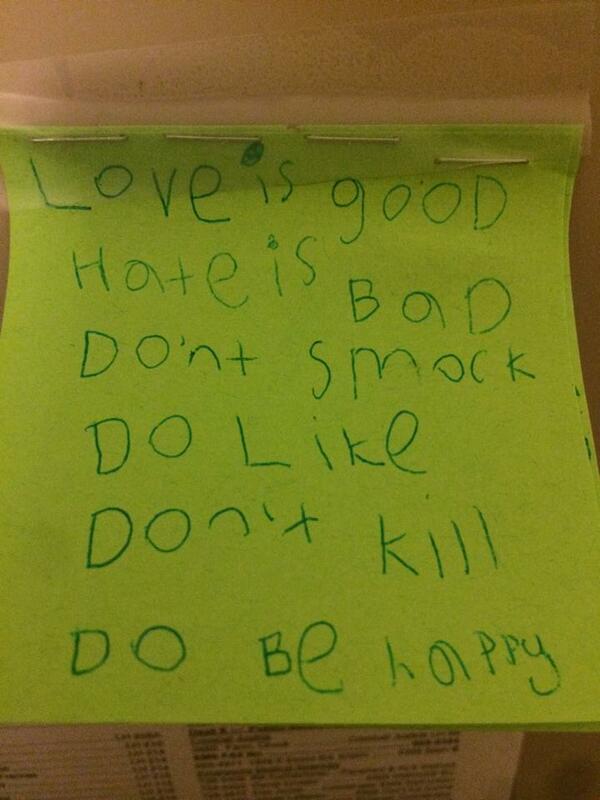 After his last visit, she discovered this taped to her file cabinet. It seems like good advice.